December 18, 1987 was the night of Todd Nicholson's prom. It was supposed to be a night of promise for what was to come next and a rite of passage for the the students of Arnprior District High School just outside of Ottawa. But on that night, all of the stories Nicholson had imagined for his life changed. He was in a single-car accident on his way home from prom that left him a paraplegic. "I remember laying in my hospital bed and saying to my parents 'what the heck am I going to do with my life now?'" Nicholson recalls. His parents didn't skip a beat. "They said 'we don't know how and we don't know what but you'll do something. There's someone out there who will help us figure out what that is,'" Nicholson says. There have been many who have helped Nicholson along the way — too many to name, he says. 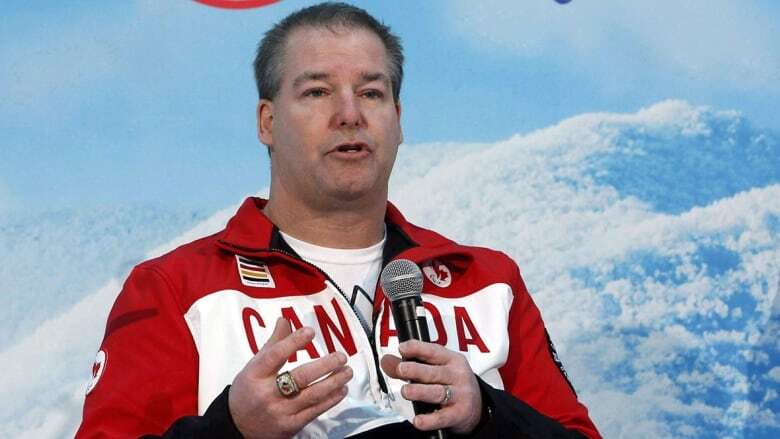 More than 30 years later, Nicholson is one of Canada's most decorated Paralympians, winning gold, silver and bronze medals along with two fourth-place finishes while competing in para ice hockey at five Games. Now the 49-year-old is Canada's chef de mission in Pyeongchang, South Korea, leading the country's largest Winter Games delegation — 55 athletes — into the 2018 Paralympics. "For me the Paralympics is a conduit to being able to contribute to society," he said "I've seen the value of sport and what I've been able to accomplish doing it." Nicholson will never forget the first time he was presented his Team Canada jersey. It wasn't too long after his accident that he finished his first hockey World Cup tryout. He carries that same jersey with him to most speaking engagements to this day. "Every time I pull that jersey out of my bag the hair on the back of my neck still stands up 30 years later," he said. "To be able to wear that maple leaf on your chest is something amazing." Now Nicholson wants to use his experiences competing internationally to help motivate and inspire not only this year's team, but future Paralympians as well. He talks about what his first Games experience in Lillehammer was like, back when he says the Paralympics were somewhat of an afterthought to the Olympics. "I have two memorable moments in those 1994 Games," he said. "Looking up into the stands and seeing my parents who traveled to watch. But then seeing they were two of six people who were in the stands." Fast-forward to his last Paralympic experience in Vancouver when he could barely find his parents in the sea of Canadian fans. The Games have grown but Nicholson knows the work isn't even close to being done. "What we need to do now is ensure Canadians know who our athletes are," he says. "I never have to explain my sport anymore but I would love for the day I don't have to explain who my athletes are either." Whether it's an athlete's first time or they've done this all before, Nicholson is doing everything he can to help them all remember what they're a part of. Nicholson admits this might be the last time he takes part in a Paralympic opening ceremony and Games, and he isn't taking it for granted. "You have to have fun and find joy and excitement in this. As much as this is a job and you're here to be successful, have fun doing it," he says. As Canada's athletes, coaches and support staff prepare to enter the Olympic Stadium behind flag-bearer Brian McKeever, Nicholson points to it all being a culmination of hard work, resilience and courage. "This is the pinnacle of their sport and everything they've tried to accomplish," he says. It also marks the beginning of nine days of intense competition featuring upwards of 670 athletes from around the world. Eighty medals are up for grabs between cross-country skiing, biathlon, alpine skiing, wheelchair curling, hockey and snowboarding. "It's time to go. They've worked so hard for this. Now is the time to shine," Nicholson says.